St. Paul says “you know the time.” I’m not sure we do. Yes, it’s 10:23 A..M. but is it time to get another 6-pack for the refrigerator? Is it time to invest in long-term care insurance? Is it time to tell North Korea to stop playing with fire and learn to live peaceably with its neighbors? Is it time to deal with a bad choice in Washington? Is it time to provide adequate health care for all Americans? Is it time to get out of Florida? I wish there were easy answers. There are two basic ways of looking at time and I think only one of them is truly Biblical. The Greeks thought of time as cyclical. Agricultural people think of time as cyclical.You plant and you harvest, plant and harvest. I remember reading a collection of poems by Wendell Berry and his world is an agricultural world. You plow things under and they come up again, you plow them under again and up they come. Why is that in the Bible? Maybe for the same reason that they put salt in cookies: for the sake of the contrast. But notice how the second reading today looks at the subject. “You know what time it is,” St. Paul wrote: “it is now the moment for you to wake from sleep. For salvation is nearer to us now than when we became believers;the night is far gone, the day is near. Let us then lay aside the works of darkness and put on the armor of light … put on the Lord Jesus Christ …”. It’s time to wake up, says St. Paul; the night is far gone, morning is coming. Paul is looking forward, not back, and he sees the passage of time not moving around in a circle but moving ahead, moving forward, moving toward an end, moving to a completion, a fulfillment of purpose. And that is the usual Biblical perspective: looking ahead, moving toward a purpose. Instead of an infinite succession of circles getting us nowhere, time is seen as a road leading us always on toward a purpose and the distance to be traveled is not all that great, and less with every passing day. And don’t we know that that’s a better approach to life? When we say, as we all sometimes do, “I seem to be just going around in circles,” that’s when life is most frustrating, least satisfying, when we need a way out, a way forward. And that’s what the Bible offers when it says so often: “remember.” Remember what God has done: Remember how he called Abraham to follow, how he revealed his holiness to Moses, how he set the people free from slavery, how he gave them a land and a mission. Remember how he sent prophets to speak of an ultimate purpose, how he sent them into exile and brought them back and how he sent a Messiah and gave us a meal to remember, how he moves history forward toward a purpose. There was a Japanese emperor long ago who created a garden of rocks and raked sand with no plants, no flowers, no trees, because he thought the constant flowering and fading, flowering and fading, was so unutterably sad he couldn’t stand it. So he created a garden where nothing would ever change. He had no reason to look forward. He knew nothing of a God with a purpose. But we do. And if you want to think of this week end as the beginning of a new year – school year, Jewish year, whatever – the only real question to ask yourself is this: with one less year to work with, how can I use this time more towards God’s purpose? Time doesn’t move in circles. It moves toward a purpose. And we have only this day, this minute, to use – now or never – it won’t come again. 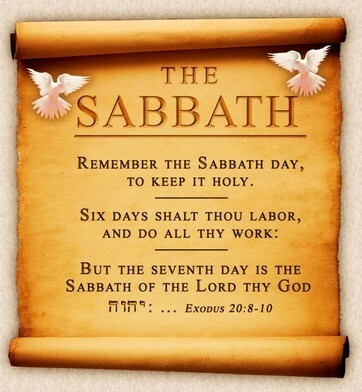 The Bible says, the seventh day is a sabbath to the LORD your God …” One seventh of our time belongs to God. And here too, we fall way short. The commandment doesn’t say “Go to church once a week for an hour.” It would be real progress if we all did just that. But it asks a seventh, one day, twenty-four hours, out of every week. And I think we need one day when we don’t do the ironing or balance the check book or go shopping, one day that doesn’t get used for our routine purposes. I had a friend in college who was a Southern Baptist and he kept the sabbath. If he had a test scheduled for Monday morning, he would study up until midnight Saturday, but he did no school work on Sunday. That was God’s time. I respect that. But what if you keep the Sabbath and sit down Monday morning to send a gift to the National Rifle Association, or water your garden when you know you should give a call to a friend in a nursing home, or read the paper when you haven’t yet spent time with your Bible. “Six days you shall labor and do all your work,” says the Bible; the Fourth Commandment deals with the whole week, not one day alone. How will we ever get away from that spinning sensation unless we straighten our lives out and get them in line with God’s purpose by remembering – not repeating, but remembering – who God is and who we are and that we belong to a God with a purpose. Paul writes that the night is almost over. 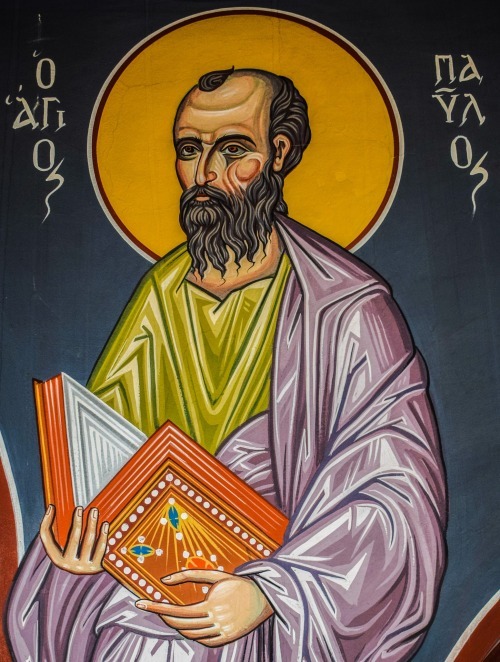 Paul had no idea that there were two thousand years to go, but “a thousand ages in thy sight are like an evening gone,” says the familiar hymn. None of us can count on that much time still available. 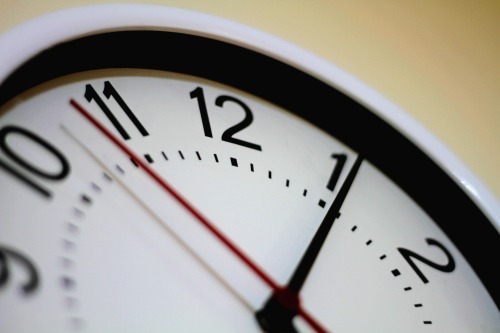 We talk about “making time” for something, but of course what we do is just reprioritize. We can’t make time, but we can stop misusing it. We can stop wasting it, we can remember who does make it and who it belongs to and why we have the gift of this day, this short span of 24 hours, and we can use it as it was meant to be used: carefully, prayerfully, joyfully to the glory and praise of God.